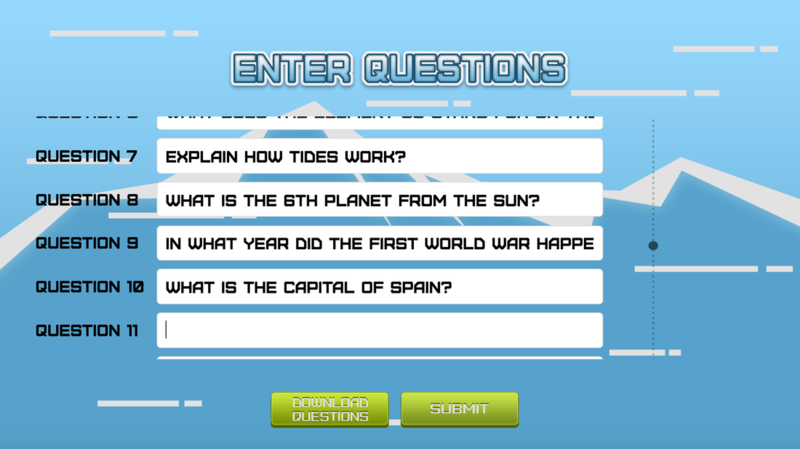 Each of the games on the Blended Play portal can be customized to display questions on screen. 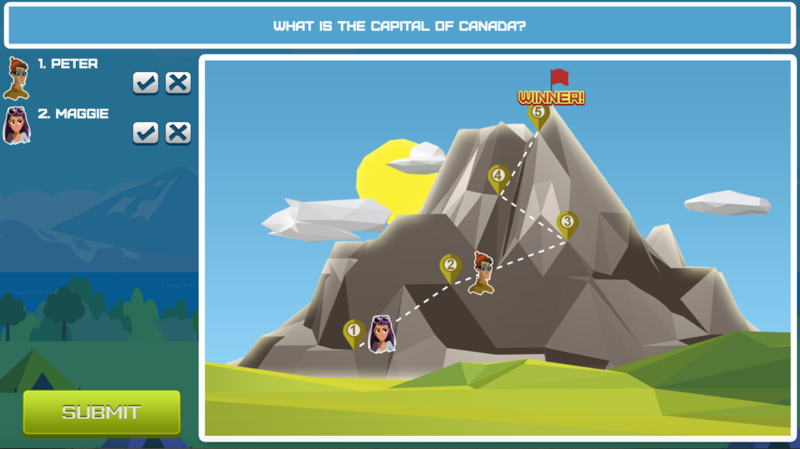 The easy navigation allows teachers to play each game in real time with their students as a class. Start by writing your questions in the game. Save your questions to reuse later! Start playing the game with your own content on screen. Sometimes you might want to ask questions out-loud or use outside videos and supporting material. In this type of implementation, the game set-up is even easier! Select the game, the amount of player and the size of the game. Start playing! - a generic question countdown will appear on screen in the question box.